Siren Elise Wilhelmsen // The Knitting Clock And The Others! Darkness is sometimes more inspiring than light. We imagine that fashion designer Erevos Aether would agree with us, since it seems that for his debut AW11-12 collection he was inspired by famous poet Charles Baudelaire and his “Flowers of evil”. The collection is called “Gaping Void” and it was launched on 5th April 2011 during London’s Press Days with a fashion film directed by Konstantinos Menelaou, producer at large of the prestigious fashion film festival of Diane Pernet “A Shaded View on Fashion Film”. 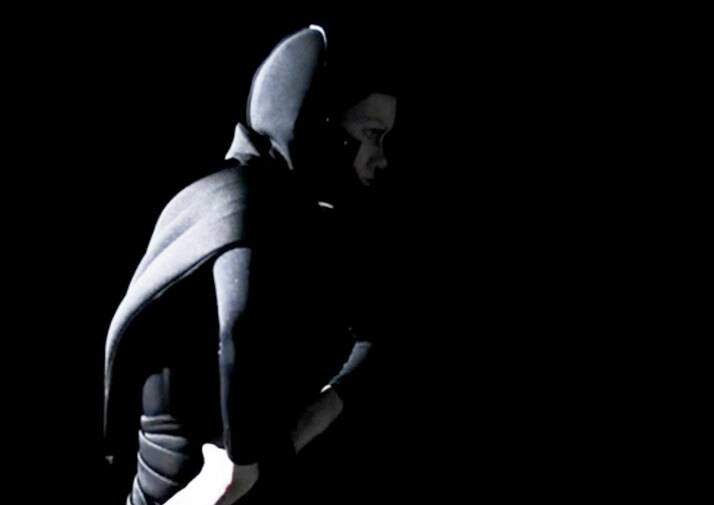 Konstantinos managed to create the perfect scenery for Erevos Aether’s unisex clothing, followed by a choreography that reflects the agony of the main hero that strangles in despair with some unknown forces. Inspired by the idea of a free fall inside an abyss-the gaping void- as well as by social issues of our times- immoral consumerism, brain washing and spiritual annihilation - Erevos Aether and Konstantinos Menelaou invite us to a dark trip towards emptiness. In this trip we are accompanied by Erevos Aether’s futuristic collection that seems out of this world and familiar at the same time, featuring fabrics like neoprene, sheer silk georgette and soft cashmere. With a branch of talented professionals by their side, amongst them choreographer Nathaniel Parchment and dancers Joe Garcia, Portia van de Braam, Tom Clark and Josephine Mcgrail, Erevos Aether and Konstantinos Menelaou managed to create a film that blends perfectly art with fashion.